This Friday the new exhibition of Edward Steichen photography and Art Deco fashion opens at the NGV – the following day they’re running a number of fun programmes includinga film, tour, charleston lessons and a panel discussion about the exhibition and I’m on the panel! 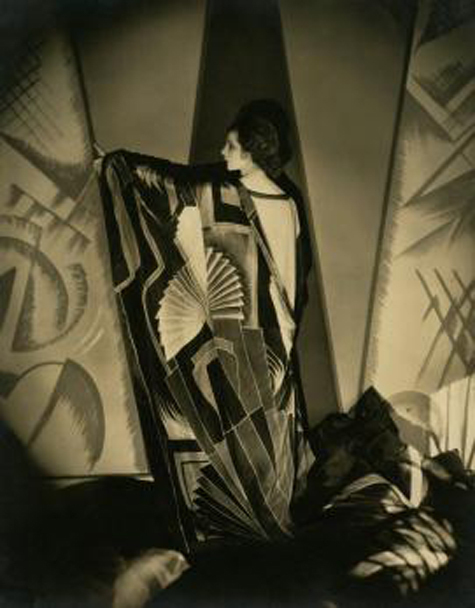 Join us as we explore the innovative and glamorous fashion photography of Edward Steichen, as well as art deco fashion from the 1920s and 1930s. Keynote: William A Ewing, independent curator, formerly director of the Musée de l’Elysée, Lausanne, Switzerland, and specialist in the history of fashion photography; Todd Brandow, Executive Director, Foundation for the Exhibition of Photography and exhibition co-curator; and Nicole Jenkins, fashion historian, retailer & author of Love Vintage: A Passion for Collecting Fashion (2009) . Cost: free, although an admission cost applies to the exhibition. Ohh – this sounds fantastic! Will try to make it. That’s so exciting! I thought of you the second I saw the story in the weekend paper. I’d so love to go, have something on after but I’ll try to swing it! Break a leg.